Losing baby teeth is part of growing up. I remember one time when my oldest son was around five. He had lost a tooth at my then mother in laws house and the tooth fairy traded him ten dollars for his tiny tooth. To my son (and me) that was a lot of cash for one tooth. A few days later he jumped off the couch and hit the table, just as he had planned, and out come another tooth. He was so proud as he showed me the bloody tooth and his lip. Unfortunately for him at our house the tooth fairy did not pay out as much. That stunt was never tried again. Thank goodness. Last night was yet another big tooth event in our home. Wild man does not tell us a lot of things when it comes to physical pain. So when he told me his tooth was squeaking, I had to check. Sure enough it was moving. He has lost teeth before, most of them we only notice once we see the empty space in his mouth. One he lost at school in an apple slice, he was excited to bring that one home apple and all. So for him to notice his tooth was moving is a huge win for him (us). All day his tongue wiggled that tooth back and forth. I offered to help but he insisted he could do it on his own. Independence something I have prayed for him to have. And then it happened. That tiny little grinded down tooth popped out. His sister told him to do’s and don’ts of leaving a tooth for the tooth fairy, at the age of eight she is a pro. He wanted to make sure we placed it under his pillow, so we did. He made sure it was well protected. His plane, his bumble, and his body sock all placed in the way he wanted. He paced back and forth for over an hour making sure everything was just right. He went to sleep with ease (which is not something he does) all in the hopes of getting treasure from the tooth fairy. When the first signs of the early morning light come through the bedroom window he was up. The tooth fairy had given him some money and even left his tooth as Wild Man had requested. He wanted to add it to his treasure box, how could the tooth fairy say no? Such a normal everyday event, and yet I have cried my eyes out. There are so many days I would give anything to get inside his mind and see the world he sees. Today our worlds come together over a small tooth. This evening we continued the celebration with a movie night. He is starting to interact more with our other boys, where as he use to only parallel play along side them. As we watched Frozen (thank you Freeform) the boys asked if he wanted to have a sleepover in their room. I carried in his mattress while the boys brought his bag of cars, his rocket, his treasure box, and the all important blue light lamp. They wanted him to feel safe and made sure he had all of his favorite things. As they get older they are bonding, as well as siblings can when autism is a factor. Tonight was a good night. I am thankful for lost teeth and sleepovers. What are you thankful for this evening? Have you ever wanted to run to the top of a mountain and just scream? I’m talking the type of scream that has hot tears running down your face, your whole body shakes, sweat pouring off of you and it solves absolutely nothing but you continue to scream anyway type of scream because no one can hear you. The type of scream that makes you feel better for just a split second but you know the pain that will follow in your throat for days to come. The type of scream you scream where no one else can hear your sadness, your isolation, your frustration, your pain. The life as an autism mom has these days, today in fact was one of those days. I’m getting ahead of myself, let’s back up. Like most families we have our days. We have days that are good, days that are okay, a few great days that give us the strength to continue forward and then those days were I feel like a complete failure. Meltdown after meltdown. Nothing. Going. Right. Days. These days drain everything ounce out of me. This day started around 4am this morning. I knew when we went to bed it was going to be a long night. I saw the signs. I had to tell him daddy was on call this weekend so he would not be in to see them. Big Sis had told him she had plans to go to a football game so he would not see her for a few hours. My other little loves were excited for the weekend and the noise level in the house showed it. He paced the floors in a circle around the couch. He held his stomach as he does when he “needs to go” I check his calendar, it’s been four days, he will probably go this evening. I make a mental note to take extra pull-ups and wipes to bed with me. By nine all the kids are sleeping, even him, but he is not resting. He tosses and turns in his bed. I hear him groan as he sleeps and I know his belly hurts. I drift in and out of sleep because I know he will need me soon. Around midnight he yells and I run to his aid. He can’t sleep know, he is wide awake, I make his pullout bed in my room so he can feel safe. He finally drifts off to sleep around two and I can finally close my eyes. Then it happens. 4am comes with screams of complete terror. I jump up but can’t see a thing. Complete. Darkness. I am frozen for a split second until my ears lock on his scream. Power outage. I’m not prepared. All I have is the flashlight on my phone. Why oh why did I not unpack the candles? He makes his way to me he is now wide awake once more no sleep for us now. With every noise, every sound he hears and his mind wonders. By five two more of my little loves join us in my dark bedroom. They are also scared. I must be brave even though my heart is racing. Finally around seven the sun begins to break through the clouds. The scary night is over, a new day can begin. But his routine has been changed. Nothing will be easy today. I try my best to make it work but it does not. Daddy is suppose to be here today. He is not and our wild man does not understand. Things spiral. Lack of sleep is not helping the situation. We load up and drive to my parents. He is happy to see them, but notes that he sees them on Sundays not Saturdays. He writes me a note letting me know he loves me, hard days are less hard when he gives me notes like these. A few hours at their house was helpful, maybe the rest of the day will be better. Cue meltdown number three. Car ride home. Sister singing. Brothers laughing. Sister yelling for brothers to stop. Noise all around. I ask them to calm down, I fear it’s to late. To much for him to handle. So it starts. Hitting. Kicking. Screaming. His body takes over. I get us home. I try to hold him, try to contain the storm within him, but he is not a small two year old anymore he is a 65 pound seven year old that is stronger than an ox. I really wish my husband were here. A few hours, yes hours, pass and the storm is once again my sweet loveable little man. He says things like, I sorry momma, I will not bite myself again momma. Momma today a bad day. He cries. I cry. I pray for rest tonight but can see it will be another long night. Days like these are hard. I try to be honest about how life is. I try to let those that want to know how things are going, how things are actually going. But no one really understands what it’s like to have a child with autism unless they have a child with autism. I try to make things as normal as possible around here, whatever that is, but there are days I feel so isolated. There are days I feel like all I do is scream both figuratively and literally. There are days I wish I could get in his mind and figure out the why’s and why not’s. People say we are lucky because he can talk now, and we are blessed he has found his voice. But that does not make his autism less hard. It’s hard. So hard. I look over at him. He is finally fast asleep in his pullout bed right beside my bed. He is at peace. He feels safe and that’s what’s most important to me at this point. I set here on the top of my mountain screaming inside knowing no one hears me. I pull on my invisible super mom cape so that people see what they want to see, so they don’t feel obligated to pretend to understand or worse give me advice on what I should do when he acts out. Tonight as I look at him and know we made it through a hard day we pray for strength to get through future hard days. We pray for a better days. An easier day. I pray I can be the mom he needs me to be. And I give God thanks for making me his mom. God knew we needed each other on days like this. Tomorrow is a new day. Our school year is well underway, our little loves are adjusting to their new teachers, bus drivers, and schedules….well most of them. Our littlest guy was not adapting well at all. While his brothers and sister were excited to see what their new school’s had to offer them he was terrified. Completely. Terrified. This year he would be in class without his brother. This year he had a male teacher. This year he would start without knowing anyone. Kindergarten can be a scary place. His preschool had some worries about him starting kindergarten. Academically he was ready. He knows all of his colors, he can count to 100, he knows his shapes, and he can write all the letters not the alphabet. He can even correctly spell his full name. He can even sign the alphabet (forward and backward) I think he is pretty smart for a new five year old. But kindergarten is more than A B C’s and 1 2 3’s. Socially he is not ready. We tried the kindergarten class, but within a few days we knew it was not going to work. His teacher said he would stay to himself, he would not answer (or even acknowledge) anyone that asked him a question. He basically shutdown on us all. He did not want to get up in the mornings. He cried as we went to the bus. He would not talk about anything that happened during his day. He didn’t want to go to bed at night because he knew he had to get up and go to school the next morning. Our happy, go lucky, always making a joke kid was miserable. My momma heart broke for him. When the school called for our meeting I knew something had to change. As I sat in a room with teachers and staff that barely knew my son, I questioned if we/I was doing the right thing for him. If I stuck to the plan with him staying in kindergarten he could come out of his shell in a few weeks/months and everything could be okay. He could also be completely miserable and in the end fail kindergarten and have to repeat it again next year. Or we could place him back in preschool and help him build on his social skills and possibly transition him into the kindergarten class a few days towards the end of the year and that way he would be ready for kindergarten next year. The choice was clear. He needed another year of preschool. But how would he adjust to yet another change this year? Part of me wants both of my five year olds in kindergarten together. But I want what’s best for him, not what I pictured life would be. He needs this. His teacher knew I was worried about the decision we made, so she sent me a few photos through this first day. I can’t tell you how much those photos meant to me. And when he got off the bus from his “second first day” the smile on his face said it all. He was happy, so very happy. I hope as the years go by he understands why he and his brother are not in the same grade. I hope he understands we did what we thought was best for him. I hope he understands that every decision we make is in hopes of giving him a better life and giving him the best opportunity we can. But those are all questions for a later day. For now I will focus on the smile on his cute little face and know that he is happy and feels comfortable in his new class. Here’s to a great preschool year!! I’ve been away for a little while, I apologize for that. I hope all is well with everyone. This summer has been crazy. I won’t go into all the details but let’s just say I appreciate all the prayers for my close few and all of you out there that noticed I wasn’t here. So many things have changed in a short amount of time. So quick, so unexpected. I am a firm believer that God has a purpose for our lives and two years ago that purpose landed us in Bristol TN. The thought of leaving home back then scared me more than I care to admit. Our time there flew by. We did not plan on being foster parents while there, but God always has a plan. We became friends with some amazing people and through those people conversations about the need for foster parents took place. 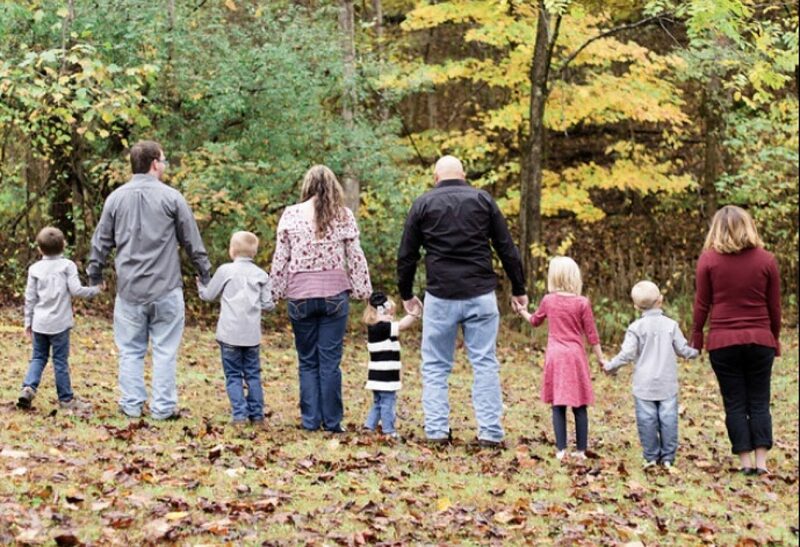 People saw us as a normal family, not as the crazy family that adopted those kids. Our children were just children, not adopt kids out of foster care. We were free to be who we are. Maybe our time there was meant to get people talking about just that, foster care kids are normal kids. We were able to help a few more little loves enter and exit our home while here (because our seven was not enough in God’s eye). With each one we opened our hearts so they could be broke again in order for these precious little ones to know what love was, to know what a family felt like, for them to know it’s ok to feel scared, angry about the situation. I would have my heart broke over and over again even knowing what I know now about their situations. They deserve to know someone out there cares. Foster care is hard but I would not change what we do. We still had baby N when life happened. I don’t pretend to know why things happen, but they do happen and life takes a turn. After much prayer over the situation my husband and I decided moving back to our home State was what was best for our family. Moving during the school year would not be good for our children especially for our son with autism. So the move had to be made over the summer. This meant saying goodbye to baby N. She would not be going back to her momma, she would have to be placed in another foster home. My heart sank. I ran over different scenarios in my head trying to come up with a solution for her to stay with us until her momma could get her back, any solution. There was only two options: 1) she be placed in a different foster home or 2) her mom sign her over. I knew which one would happen. Handing her off to another foster mom just about killed me. I’m sure she is adjusting well, but I so miss her. I wanted to be the one cheering her mom along, helping her get her life back together so she could get her little one back. I wanted to be there, but life happens. I pray she knows how much she was loved by us. It’s times like this I want to question Why God, Why? Why did You bring her into our lives if we were only going to have to say goodbye so soon? I don’t know that answer, I just have faith that it was part of His plan. We are so thankful to be back around family, yet we miss the “community family” we had down there. How did such a short time there change us so much? I pray we accomplished what God wanted us to do there. I don’t know what this move has in store for us I pray we continue do follow His path for us. I pray we see His plan clearly and that we don’t hesitate in doing what He asks of us. I pray our children (as well as us) adjust well to their new surroundings and that they make friends quickly. I pray over the little things and the giant things. I pray continuously about this move and all it entails. I saw you today but could not say a word. You have grown since I last held you in my arms. You look like you’re doing well. I heard your grandma bragging that you are trying to roll over, she looks tried but her face lights up as she talks about how far you have come. She will never know who I am, and I’m ok with that. She did thank us though your caseworker when you went to stay with her. I’m sure it’s hard on her knowing her own child put you through this, I know she is grateful you came to us until she could get you home (she told your worker that). I wish I could have asked her to send me updates on your progress or if she would care to send me a picture every now and then. But I’m just a part of your story no one wants to talk about. Foster care is hard sometimes. I will never know who you turn out to be. And that is hard. You will forever be our little guy. Sometimes we get to watch, thanks to social media, how our little loves are doing, we cherish the friendships that have come from the dark spots of foster care. Not all forever homes are willing to allow us to continue to be apart of our little loves lives and even though that’s hard it’s part of foster care. So I will cherish our time we had together. I will remember how you giggled as I tickled your feet, how you loved to be held as you fell asleep, and how you fit in my arms. Those are our moments. You will forever be part of my heart and a part of our family. And who knows maybe one day we will see each other again, and just like today I will smile from afar. I’m so happy God placed us in your path to get you to your forever home. I am so thankful He called us to be your foster parents. Moments like today make it all worth it. As autism awareness month comes to an end, I can’t help but look at our family life. Autism is not something we think about just in the month of April, we live it every day. The wind is a little chilly but the sun is shining bright. Our little loves were eager to get outside and enjoy all our backyard had to offer. We don’t go to public parks much especially on pretty days. They are normally to crowded for our little guy. The noise can be to much for him and trying to keep him safe while allowing the others to play freely is stressful. The stares and the whispers from the other patrons should not get to me, but it does. So our backyard is our sanctuary. Here he is safe and here our other four can run and play and I don’t have to worry. Four are dressed in their play clothes while one is in his standard pajamas. It maybe 70 degrees outside but you will always find him in his magic long sleeved flannel pajamas. They are his safety net at home. While our other little loves run and play tag he sits on the sidewalk lining up his cars. He seldom looks up, but when he does it’s for a quick Look Momma look what I did. He loves his cars. He spends hours lining and relining them up. He is perfectly happy doing so. Today, while we played ball with our youngest daughter, JR came over to watch. We tossed the ball back and worth to our two year old and she giggled as it bounced down the hill. Out of nowhere JR decided to engage and went after the ball. He laughed as he throw it to his dad and giggled as he tried to kick it. For the next ten minutes he played with us and it was wonderful. It was perfect. Then just as quickly as he had joined in he stopped and returned to his cars. Autism is so isolating at times. I truly believe he wants to be part of everything, he simply can’t. We have had people tell us, Just take him out or Just make him go he will get over it? As if they think we don’t want to go out and do things. But the truth is his happiness and wellbeing are important to us. We know what he can handle and what he can’t. Days that we can make it to church as a family, or trips to the grocery store without a meltdown are considered victories in our house. If the outside world just took a few minutes to get to know our little guy they would see how truly wonderful he is. He is the sweetest most loving little guy you could ever meet. He is the best big brother to his two year old sister and he loves to cuddle babies. At his school he is known as the hugger because as everyone comes through the doors he is there to welcome them with one of his giant bear hugs. He is not less because of autism he is so much more. As a mom I love days where we have moments like today. To hear him laugh and to see him run and interact with his siblings is something I will never take for granted. Today was a good day and for that I am truly thankful. JRs superpower is autism, what’s yours? Thanks to everyone who has bought my book Beautiful Chaos Our Story about Foster Care, Adoption, Faith and Love. If you haven’t done so yet you can go over to the new website at http://www.beautifulchaosmomma.com and pick up a copy. My prayer is that our story inspires others to become foster/ foster to adopt parents.